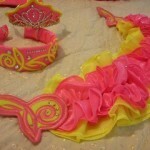 Very striking Elevation Designs dress in Hot pink and bright yellow. 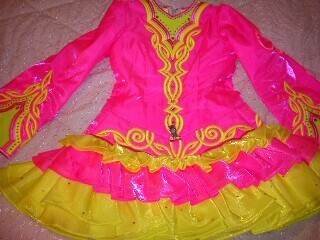 Dress only purchased earlier this year, worn 3 times like brand new, only selling due to growth spurt. 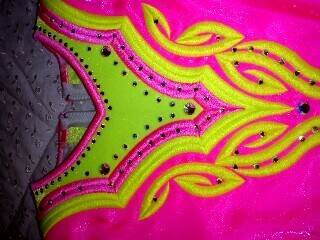 Very lightweight, approx 750 AB Swarovski crystals added for extra sparkle. 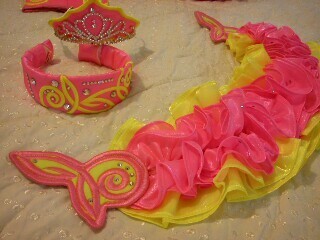 Comes with 1 pants, 1 headband & 1 tiara and material supplied to make 2nd headband and tiara. This dress is only 5 months old so has never been altered. Asking Price: €845 ono. Shipping costs not included. Sale is final.